The Victorian period in jewelry — named after Queen Victoria, who reigned over the United Kingdom of Great Britain and Ireland — spanned from roughly 1837 to 1890, concurrent to her reign. Victorian jewelry design was influenced by historical and cultural events as well as the technological innovations arising from the Industrial Revolution. The Queen’s coronation took place during the Romantic period, an era largely characterized by a fascination with a romanticized remembrance of the folkloric and chivalric Medieval and Gothic periods. Gothic and Renaissance motifs became popular in jewelry of the time. Serpents, ancient symbols of eternal love, were also popular motifs. In fact, Prince Albert gave Queen Victoria a snake engagement ring which quickly started the trend for serpentine adornments. There was also a great revivalist movement amongst important European goldsmiths such as Castellani, Boucheron, and Guiliano, and fine gold Etruscan and Egyptian jewelry designs were made. Women’s daytime fashions consisted of long, full-skirted dresses with high necklines and long sleeves. Bonnets were a necessary part of the daily costume while the styles were ornamented by very little, or subtle, jewelry. 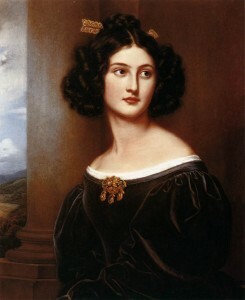 In the evening, women wore low-cut necklines with exposed arms and arranged their hair into curled styles that covered the ears. As the ears were always covered, earrings were not normally worn; rather elaborate hair ornaments, brooches and numerous bracelets made from materials such as hair, gemstones, enamel, and gold were in vogue. Religion was an important part of Victorian life, and cross pendant necklaces made from materials such as metal, hair, and gemstones were common accoutrements. 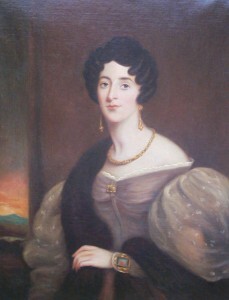 In later years, necklines were lowered and necklaces became even more popular. With the invention of the daguerreotype (photographic portraits), wearing a locket necklace containing the portrait of a loved one became highly fashionable as it suited the Victorian palate for genteel romance and sentimentality. Following the death of Prince Albert in 1861, the Queen adopted a rigid dress code and required the court to do likewise, wearing all black clothing and mourning jewelry. Mourning jewelry was composed of black materials such as jet, black glass and black onyx. The jewelry varied from the simple to the elaborate and was often crafted with hair from the deceased. The taste for mourning jewelry coincided with a taste for memento mori – a style of photography and jewelry which literally meant “remember you shall die”. Skeletons, skulls and other dark motifs graced pendants, brooches and rings. A lighter way of expressing sentiment by wearing cameos of loved ones was also popular during this period. The Victorian relationship with cameos is a reflection of Europe’s fascination with ancient cultures in general, particularly Rome and the Classical world. Made of materials like onyx, coral, lava, agate and hardshell, these carved cameos were made into rings, brooches, earrings and bracelets. Plaited “Hairwork” jewelry fashioned from human hair, typically of a loved one, was another fashionable way to signify devotion and affection. Victorian women would wear bracelets and necklaces formed from gemstones, hair and metal, and weaving hair was a popular drawing room pastime. Queen Victoria also wore a bracelet made from her children’s baby teeth. With the proliferation of factories and modern machinery during the Industrial Revolution, metalworking could be performed on a mass scale and there was a corresponding drop in the cost of jewelry which made pieces more accessible to the lower economic strata. Enamel hinge bracelets were especially fashionable amongst the middle class. Towards the later years of the period, women’s fashions became more dramatic, with larger skirts and puffed sleeves. Correspondingly, Victorian jewelry became more dramatic and large in scale. Many of the stones used in Victorian jewelry were believed to possess mystic powers. Superstition and occultism were popular among all classes, most especially during the later 19th century and jewelry was created to reflect such social trends. Amethysts were often worn surrounded by seed pearl borders and were believed to protect the wearer and bring good luck. Bloodstone was also popular, believed to possess the power to stop bleeding and preserve health. Coral was thought to ward off evil. Victorian jewelry is a reflection of the cultural changes that took place during the Victorian Period. Jewelry from the period is especially known as a form of expressing sensibility and love, or darker sentiments, and a piece of antique jewelry makes a wonderful gift and keepsake. Jewelry design during the reign of Queen Victoria was markedly influenced by historical and cultural events as well as technological innovations arising from the Industrial Revolution.This 64 year time span can be divided into three periods, early, mid and late, each with a distinct design aesthetic: the Romantic Period 1837-1861, the Grand Period 1861-1880, and the Aesthetic Period 1880-1901. The Romantic Period had actually begun slightly earlier in Art and Literature, but in jewelry design it coincided with the coronation of Queen Victoria in 1837 and her romance and marriage to Prince Albert in 1840. Romanticism was a response to the upheaval of the late 18th Century, with its idealistic and utopian view of man’s ability to control his world and government, as demonstrated by the American and French Revolutions, followed by the campaigns of Napoleon and his short lived Empire. After the Age of Enlightenment resulted in the massive bloodletting of the French Revolution and the Neo-Classical era of Napoleon with its terrible losses in Russia and eventual defeat by the British at Waterloo, prevailing philosophy took on a darker, less optimistic view of mankind’s place in the world. The intellectual focus shifted away from the rationalism of Classical Antiquity to the sentimentalism, emotionalism, intuition and mystery of the Medieval Age, particularly the Gothic Period, with a focus on chivalric folklore. The Romantic Movement was also a response to the growth of city populations which was a result of the mass urbanization that occurred at the beginning of the Industrial Revolution. As cities became more overcrowded and frantic, Romantics became more fascinated with the countryside, forests, mountains, oceans and all of untamed nature. In German literature, authors such as The Grimm Brothers and E.T.A. Hoffman with their dark tales and focus on the supernatural evoked the Romantic aesthetic. In England, Percy Bysshe Shelley, Samuel Taylor Coleridge, Mary Shelley and William Blake were well known Romantic authors. Edgar Allan Poe, Nathaniel Hawthorne and Washington Irving brought the Romantic tradition to American literature and the torch was then picked up by Emily Dickinson and Herman Melville. In addition to a focus on the supernatural and the occult there was a passion for the exotic and the heroic exemplified by the poetry and life of Lord Byron. In music the greatest composers of the early 19th Century were considered to Romantic Composers. George Sand, the proto-feminist Romantic novelist wrote about music: “the most beautiful of all the arts,” the honour of being able to paint “all the shades of sentiment and all the phases of passion.” “Music,” she said “can express everything. For describing scenes of nature it has ideal colours and lines, neither exact nor yet too minute, but which are all the more vaguely and delightfully poetical.” Certainly this author was no stranger to music or to passion having been not only a friend of Franz Liszt but the lover of Frederick Chopin. In addition to Liszt and Chopin, the great Romantic composers were Berlioz, Mendelssohn, Schubert, Schumann, Wagner and of course Beethoven. With the advent of the early Victorian Period, women’s fashions changed from the empire-waisted, décolleté, short puffed sleeved, softly draped dresses of the Late Georgian – Neo Classical Period to the lower-waisted, longer sleeved, fuller skirted dresses with a wide cut neckline. These new fashions were combined with new designs in jewelry. For formal dress women typically wore a velvet ribbon choker style with a brooch attached to the front and a lozenge or navette shaped bodice brooch set with gemstones. Bracelets also were worn singularly or in multiples on each wrist. 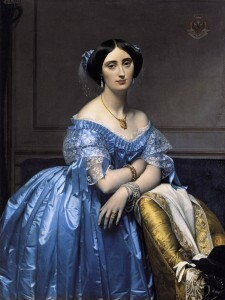 With the waist again emphasized, chatelains were commonly worn. The focus on Medievalism led to revival based jewelry design with Gothic and Renaissance motifs. This was also the age of the great revivalist jewelers of Italy – Castellani, and Giuliano – who were master goldsmiths. From these jewelers came the finest Etruscan, Egyptian and Renaissance Revival jewelry. Naturalism was as much a part of Victorian jewelry design as it was a part of the literary and artistic landscapes. Snakes were a popular motif symbolizing eternal love. Flowers and leaves were realistically designed in scrolled gold. Continuing from the Georgian period were the use of coral, turquoise, hardshell cameos, bloodstone, goldstone, enamel, and pearls. Colored gemstones were set both foil backed and a jour. Stylistically, the Victorians looked to both Classical and Gothic Periods for inspiration. Etruscan Revival Jewelry was known for the clean and elegant simplicity of ancient Greek and Roman design and detailed by granulation and scrolled gold wire work. Master Italian goldsmiths, such as Castellani, were famous for their work in this style. Other Etruscan Revival pieces, include cameos of carved lava, hardstone or shell, in yellow gold, which were detailed with scenes from classic mythology or jewelry created in micro-mosaic and pietra dura. Gods and goddesses, nymphs and warriors, were all prevalent as well as motifs consisting of grapes, vines, swags and garlands. 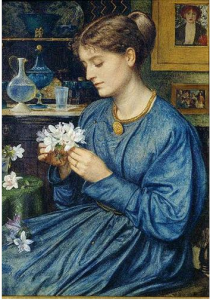 In 1848 a new artistic movement known as the Pre-Raphaelite Brotherhood was formed by by John Everett Millais as a response to the prevailing Victorian aesthetic. The key founding artists in addition to Millais were Dante Gabriel Rossetti and William Holman Hunt. These artists were inspired by Medieval themes such as the Arthurian legends and their works were full of symbolism and idealized chivalry and romance. The primary subjects of these works were women dressed in stylized Medieval and Renaissance dress in natural settings. 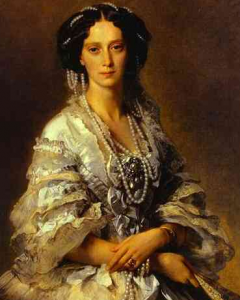 The Pre-Raphaelite artistic movement coincided with the popularity of Gothic and Renaissance Revival jewelry. 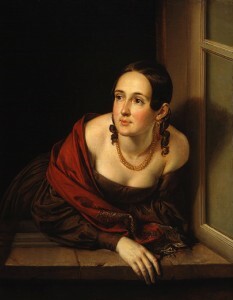 Known for its romantic look, Revivalist jewelry consisted of pendant earrings, brooches and pendants, often enamel and embellished with flowers and garlands accented by seed pearls and turquoise, necklaces and bracelets, either bangle or mesh style with taille d’epergne enamel work on buckle motif slides with foxtail tassels or ornate slides with foliate motifs. 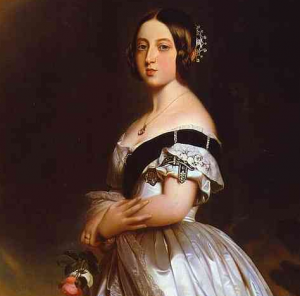 The Grand Period began in 1861 upon the death of Queen Victoria’s beloved Prince Albert. The Queen went into mourning and not only donned black attire and mourning jewelry, she required the court to do likewise. That same year brought the beginning of the American Civil War so there was reason to mourn in both the United States and Great Britian. Since mourning required not only a change in clothes but a change in jewelry as well, the Grand Period became the high point of mourning jewelry. While mourning jewelry had been worn since at least the Georgian Period, the styles and importance of it increased in the mid 19th Century. Georgian mourning jewelry consisted of small gold pins, lockets or rings designed with a center compartment covered with glass or crystal that held a braided lock of hair. Another early type of mourning jewelry was a gold ring with lettering on black enamel. Grand Period mourning jewelry included a variety of items made in black materials, whether jet (fossilized coal), French jet (black glass), black onyx, black enamel or dyed horn. Black, so to speak became the new black, and black jewelry became desirable even for women not in mourning. The Grand Period is an apt description for the silhouette and style that was prevalent in women’s fashions. Dresses became grander with fuller skirts requiring hoops and crinoline petticoats. Necklines continued to be low and wide across the shoulders or boatline and sleeves stayed puffed to either the forearm or to the wrist. If not in mourning women wore brightly colored gowns embellished with bows, ribbons, ruffles, lace, flounces, bustles, fringe, trains and flowers. This larger silhouette demanded more prominent jewelry including necklaces, lockets, bracelets and earrings designed on a grander scale. This trend in embellishment was carried over into jewelry design with earrings, lockets and bracelets decorated with engraving, scrolled and twisted gold wirework, taille d’epargne enamel and fringe. Bracelets became wider, earrings became longer, lockets became larger and chains became heavier. In addition, the materials in mid-Victorian jewelry became heavier in scale and stronger in color. 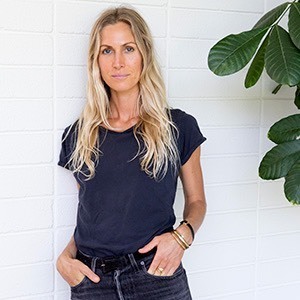 In addition to gold, the materials typically used were turquoise, coral, jet, onyx, bloodstone, goldstone, horn, tortoiseshell, lapis, lava, shell and hardstone. The exception to this was a unique and delicate material that became popular at this time, human hair. Earrings, bracelets necklaces, pendants and brooches were made out of woven hair held together by gold fittings. Revival jewelry, which began in the Romantic Period, came to its peak in popularity during the Grand Period as the passion for archeology and historical discovery continued. For the first time Revival jewelry became widely seen when it was exhibited at the Paris Exhibition Universelle in 1867. The Italian goldsmith Castellani was the master of Etruscan and Egyptian jewelry. Giuliano, an Italian jeweler based in London became the master of Renaissance jewelry. Fontenay, Brogden, Froment Meurice and Boucheron were also known for their Revival jewelry. With the trend for the wealthy to take a “Grand Tour” of Italy and to be exposed to Italian architecture, art, design and fashions, Italianate art forms such as cameos, micro-mosaic and pietra dura were at the peak of popularity. While cameos could be of any subject, they were generally created with a woman’s silhouette, sometimes with a classical theme such as a goddess or bacchante. Cameos of shell, lava and hardstone were used in bracelets, rings, brooches and pendants. Intaglios, an ancient form of jewelry where the design is engraved in hardstone, also were popular and mostly used in watch fobs. Micro-mosaic and pietra dura, both specifically Italian forms of mosaic were commonly used in jewelry. Micro-mosaic used tiny pieces of glass and pietra dura used thin slices of colored stone. Flowers, animals, butterflies and birds were popular motifs as well as Italian architecture and Classical ruins. By the beginning of the Grand Period, the Industrial Revolution was well underway in all manufacturing, including the manufacture of jewelry. The technique for die stamping and gold plating led to the ability to mass produce inexpensive jewelry that could be sold to the rising middle class. This mass produced jewelry was often engraved by hand and decorated with taille d’epergne enamel. Hinged bangle bracelets are probably the item most associated with use of taille d’epergne enamelwork. Stamped gold was also used to create bookchain necklaces which were used to suspend lockets.